Edinburgh city council Labour group leader ANDREW BURNS outline his vision of an Edinburgh run according to co-operative principles. Edinburgh is a mere six months away from the next local government elections, which take place on Thursday, May 3. On that day, every voting resident of Edinburgh will have their chance to pass judgement on the previous five years of the current SNP/Lib Dem coalition that has run Edinburgh City Council. I’ll leave that judgement for residents to make in due course, but here I want to outline some of the thoughts that Edinburgh Labour has for moving our city forward. There is no doubt that the next few years will be exceptionally tough for local government, yet looking towards the local elections I and my Edinburgh Labour colleagues are determined to engage with residents on the kind of council they want to see. Unlike the Lib Dems and SNP, who pushed ahead with the Alternative Business Model scheme, we want to have a full and proper consultation. So on Thursday, we’ll launch a public consultation document on our ideas. Central to our vision for moving Edinburgh forward is Edinburgh Labour’s desire to work towards being a co-operative council. I do recognise that day-to-day challenges will remain, whether they are debates on how we actually deliver public services or on the completion of major infrastructure projects. But striving towards being a co-operative council could radically alter the way we – citizens and politicians – approach how we deal with, and solve, the challenges which will continue to face our city. At their best public services have a fundamentally positive impact on the lives of individuals and communities. High-quality and responsive public services can improve the quality of a person’s everyday life, empower communities and maximise life chances. However, the public sector can only continue to make this positive difference if it responds to two major challenges we now face. The first challenge relates to the type of relationship we need to create between citizens and public services. Increasingly communities and the state are recognising that the public sector cannot “do it all” and that citizens need to be part of the solution to the challenges our increasingly complex and diverse communities face. Underpinned by co-operative values we want to forge a new relationship locally between public services and citizens. This new relationship will enhance the way in which public services are provided and will ensure that they are increasingly designed around the needs of our citizens. The second challenge is how we can deliver services which meet local need in a period of tighter funding. The recent severe recession has opened up a huge hole in the nation’s finances. Councils will be expected to do more with less. However, we recognise that it is all too easy to get distracted by meeting savings targets and balancing the books without thinking of the wider social costs. In Edinburgh we are committed to ensuring that any decisions we take around financial savings must be guided by a clear set of principles and values. I want to outline some of that thinking here, but space constraints do mean I can only scratch the surface of our proposals. Much more detail will be contained in the document we launch on Thursday. However, we all know that too often this council says “consultation” when it’s just not listening, and its members already have their mind made up. It is time to work alongside local communities – they usually know best. So we’ll find a genuine way to collaborate with communities, giving local people more control of the services they use, and the places where they live, by putting council resources in their hands. A new ‘petitions committee’ will also allow citizens to highlight their priorities, with the city budget set transparently. Secondly, we’ll press the Scottish Government to let Edinburgh keep a bigger share of our local businesses rates. We’ll lobby for fairer funding for Edinburgh housing and other needs. And we’ll spend our time doing what the city needs, not chasing centrally-set government targets. Thirdly, if Edinburgh Labour is the largest party on the council next year, we will get the city moving forward again and involving every party in council decisions, and ensuring positions on powerful scrutiny committees are allocated properly, with members of the public invited to attend. We’ll make officials accountable to the city’s needs, not to rules made to suit them or the government. And fourthly, we’ll insist on breaking down barriers and bureaucracy because the resulting slowness exasperates individuals and businesses alike. We will stop the tick-box target culture and focus on what people really want, empowering front-line staff to have a say in budget decisions, squeezing value from every penny. Above all, we’ll not shrink from real city leadership. This idea of a co-operative council draws inspiration from the values of fairness, accountability and responsibility that have driven progressive politics in this country for centuries. It is about putting the resources of the state at the disposal of citizens so they can take control of the services they receive and the places where they live. In key policy areas such as childcare, energy and housing, we’ve seen co-operative and mutual solutions work elsewhere, and we believe they can work here too. Yet, the co-operative council is also not just about changing the council, it is about building more co-operative communities and realising that, for too long, the council has stood in the way rather than supported this development. A co-operative council seeks to do things with its community rather than do things to the community. I hope, as a first step, residents will look at our detailed document when it’s launched on Thursday. We will listen to all the feedback received and ensure that our local manifesto for next year’s elections reflects the discussion we have over the coming months. 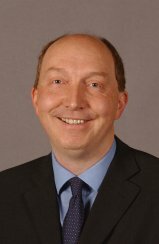 Andrew Burns is Edinburgh city councillor for Fountainbridge and Craiglockhart and is the Labour group leader on the Edinburgh city council. He blogs at www.andrewburns.blogspot.com. Andrew, you want Edinburgh to keep more ( all ?) of the finance raised locally. No doubt Aberdeen will want the same, and so on and so on. Maybe you should go to Glasgow and explain the big hit they will receive if you get your way! There are plenty of local councils who think they get a raw deal on finance and have the figures to back it up. You are just helping them out! Wow! Shame about the photo. Take your point – but we’re arguing for a bigger share of business rates, not ALL of the finance raised locally. As someone who orginates from the West Coast, and whose family is still there, I’m all too aware of the arguements made around the country on this issue! And, to be fair, some progress has been made on this (for Edinburgh) in recent years, but we feel very strongly that not enough of a unified voice (across all the Edinburgh political Parties) is heard on this crucial issue. I really like the sense of realism I’m seeing, here, and the optimism that the council could make life better for everyone, even though there’s less money to go around. The idea of prioritising services according to the genuine needs and concerns of the people rather than to meet some crackpot political goal is also an excellent one, and I’d like to see a lot more of that throughout Britain as a whole. I hope the people of Edinburgh take note, and I wish you well in the forthcoming election. … Jenny – sorry you want to laugh, but we’re deadly serious and I’d really welcome any engagement with the detailed proposals we’ll be launching later today. Demanding and doing you own thing as Andrew Burns wants in Edinburgh is not exactly in the true co-operative spirit. I doubt you will be told, it’s getting boring in here. C’mon Tom, find an apprentice mod/webmaster sharpish and get on with your campaign for leader. Please….. We need some decent opposition and the other two are just a bad joke, so get on with it. I recommend Jack Donaghy for apprentice mod/webmaster. Decent young lad, totally IT-clued and fair-minded. Let him do the heavy lifting in here and you get on with your campaign, OK? Not just boring but seemingly abandoned, Davy. errr … sorry to disappoint, but its neither a regression to ‘Old Labour’, nor a bastardisation of Camerons ‘Big Society’. It’s just an attempt to put cooperative principles into practice via the development of a whole raft of new policy ideas; not all of which will be perfect at this stage but that’s why we’re consulting on them.